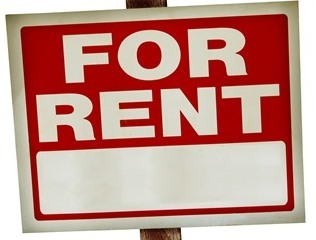 Do You Need Renter’s Insurance for Your College Student? It’s the end of August and school is back in session. If you are a parent who has a college student, you are probably moving or helping with a move back to campus for the fall. Until you have to lug your student’s possessions from place to place, you may not realize how much stuff they actually have! As you prepare for the start of the semester, you should consider how your insurance needs may change with your son or daughter away at school. Protect your student and their possessions with adequate insurance coverage and the assistance of PDCM. Many homeowners’ policies consider a dorm room as an extension of your home, so items your child keeps there may be covered to some extent. This varies from policy to policy, but usually students away from home and enrolled in a college/university full-time who were residents of the household prior to moving out to attend college would still be covered as long as they are under the age of 24 and a relative. However, if your child has lots of expensive electronic equipment or furniture, you may want to consider purchasing additional coverage. Those students who choose to live off campus may not be covered by their parents’ homeowners’ policy. In that case, you may want to consider renter’s insurance. Renter’s insurance will cover possessions in the student’s off-campus apartment or house as well as provide liability coverage if anyone is injured in the residence. Just because the property’s landlord has coverage doesn’t mean that the lessee will, too. In most cases, the landlord’s insurance policy covers only structural damage to the building itself. How Much Is Renters’ Insurance? Because renter’s insurance covers only the value of your belongings, not the building, the premium is relatively inexpensive. This is typically anywhere from $15 to $30 each month. Whether your child is living on or off-campus, it is crucial that you contact PDCM Insurance about the rules and limitations of your coverage when it comes to your son or daughter’s dorm room or rental property. Email Tammy Baish-Acuff at tbaish@pdcm.com to learn more about your current coverage or acquiring Renter’s Insurance.